“I wish I had not been told that pot wasn’t addictive when I started,” said a 50-year man in outpatient addiction treatment for marijuana. “I wasted so many years and it kept me from getting my life together,” he continued. The legalization of pot in the United States should be stamped out and go no further because its partisans have always claimed and promoted that marijuana is not addictive, a clear and simple lie. Marijuana can induce psychosis, which cigarette tobacco cannot do, and it can induce psychosis in ways alcohol is not known to induce psychosis, meaning in a shorter time and in smaller amounts. Since the beginning of the 20th century, most countries have enacted laws against the production, selling and distribution of marijuana. If this prohibition has been worldwide, except in countries like the Netherlands which has recently reclassified marijuana and put restrictions on coffee shops, why would the laws be wrong? Marijuana smoking can cause cancer, another lie perpetuated by marijuana promoters. It’s ironic that, all over the United States, we are promoting the legalization of marijuana at the same time we are trying to warn youth and restrict cigarette smoking in all age groups. Do pot advocates merely want to replace one bad habit with another? 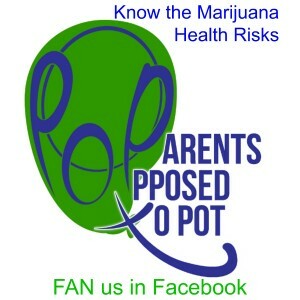 Legalizing marijuana for anyone age 21 or over will send youth an underlying message that it is not dangerous. Marijuana advocates citing lower rates of marijuana use amongst youth in countries where pot is tolerated are comparing apples to oranges, because America youth differ drastically from their peers in other countries in regards to alcohol abuse and eating. Pot supporters claim that prohibiting marijuana is just like the Prohibition in 1920 to 1933. But Prohibition took away a substance that was in the United States from colonial times, while cannabis with high levels of THC, the psychoactive ingredient, was introduced in the 1850s and regulated and restricted as early as 1860. (Source: Wikipedia) Marijuana should not be confused with its relative, hemp. The latter is a fiber, has minimal THC, and it can be used as a fiber and oilseed. Pot supporters claim the ineffectiveness of drug wars as a reason for legalizing drugs. The war on drugs, like the war on poverty, may never be won, but this fact is not a reason to stop trying. Pot supporters know well that legalization would mean more pot smoking, or they would not be advocating for it so vigorously.